Selecting an eCommerce platform can be a tricky choice. There are dozens of eCommerce platforms, from the enormous to the obscure, each aimed at different markets, and catering to business needs in a different way. When selecting a new eCommerce platform, it helps to know the most common pitfalls in advance. Here are five of the most common mistakes, and how to avoid each of them. This is the biggest pitfall; we put it up front for a reason. It’s easy to read phrases like “flat fee” or “flat percentage” and think “Hey, that’s not so bad!” But is it? Don’t leave it to chance. Get exact numbers from the eCommerce platform you’re considering, then run them against your business history. Look for a vendor that clearly lists these fees up front, as we do with PinnacleCart’s Hosted and Licensed solutions. 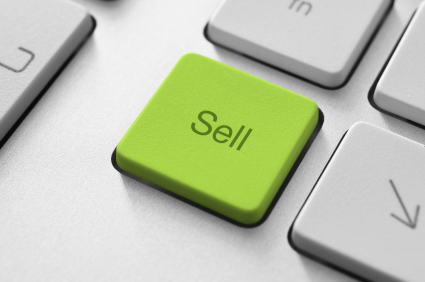 Anybody selling an eCommerce platform will emphasize the speed and efficiency. But that’s their job; they are salesmen, after all. Ask for client references, and search for feedback from other business owners. While anything anonymous on the Internet should be taken with a grain of salt, if you see customers consistently complaining about the same issue, consider that a warning, as well as something to ask their sales department. Give their support team a test drive to make sure you’re comfortable with the level of service. If something goes wrong, how quickly will it be fixed? If there’s a major error, what will they do to make it up to you? When you call or email, will you get a menu or form letter, or a response from a person? Many companies offshore their support services or rely on inexperienced reps to support merchants, making for a stressful experience when you’re in the midst of a crisis. Also, be sure you’re not going to be charged extra for customer service; it should be included in your monthly charges. Look also for vendors that provide plenty of online support, like PinnacleCart’s Video Tutorials, Knowledge Base, and User Forum. If you have an ecommerce store, the security of your store is now your personal responsibility. Your first question to a potential provider should be, “Are you PA-DSS compliant?” Your second question should be, “Are you PCI compliant?” Credit card fraud discussions can be unpleasant, to say the least; but credit card fraud is increasingly common, and will almost certainly affect you as your store grows. There are only a handful of shopping carts that are both PA-DSS (Payment Application-Data Security Standard) and PCI (Payment Card Industry) compliant. As a merchant hosting your own store, using a PA-DSS eCommerce system is no longer a “nice to have,” but a must. When you are considering which cart to use, ask about their fraud protection, and who deals with the problems that do slip through. – Will the feature set of this shopping cart grow with the needs of my business? – Will I be restricted by the number of products I can list on my site (is pricing tiered based on products)? – Will my design and template needs change, and require me to migrate to a different shopping cart? Can I customize the design to make it my own? It is important to have a clear growth path as your business scales. – Easy marketing and wide distribution of your products through different shopping engines. Most providers offer a free trial that gives you full access to the store builder and all of its capabilities (except for processing live transactions). It is wise to use every last moment of a free trial to test these things out. During the free trial period, you need to think like a quality assurance expert, and put the program through the paces. 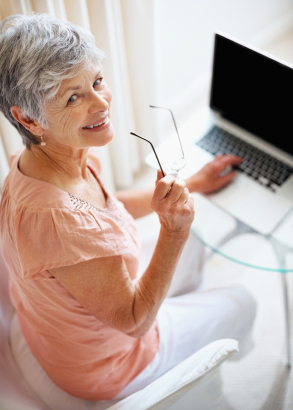 Ideally, you want an eCommerce software experience so easy that your grandmother can use it. Ain’t nobody happy ’til Grandma’s happy. Choosing an eCommerce platform doesn’t have to be frustrating. Just make sure you’re prepared for these five areas, and your online business will thrive. To learn more about PinnacleCart’s answer to these five questions, click here.